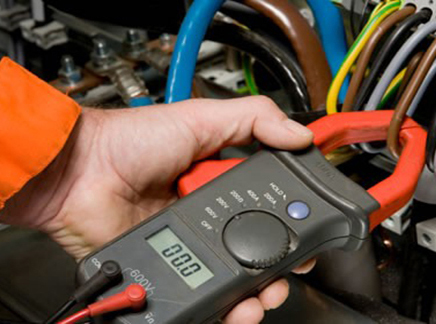 There are two principle reasons for electrical testing, the first is to ensure that you and your staff, and perhaps customers, are safe from potential harm through electrical defects, that can, and do occur over the lifespan of distribution boards/circuitry etc. The second reason is protection of your business. If you do not maintain your electrical certificate, which must be updated each time there is an addition/removal of light fittings/sockets/spurs and so on, should you experience an electrical fire, it is likely that you will not be covered for any part of the claim. You may also suffer from neighboring business claims and potential criminal proceedings for lack of business diligence. Insulation Resistance Tests measure the effective levels of a products resistance and identify potential or future problems that are likely to occur together with any potential safety issues, that may require immediate action. The frequency of testing is determined by many factors, additions, updates, repairs, age and so on, but principally an initial inspection would highlight any vulnerabilities. An Earth Bond Test measures the resistance between the ground and the product that is meant to be earthed.This test is absolutely essential so as to identify any insulation failure which may result in an electric shock.